The Qantas Group has announced reductions in management staff as part of a fundamental review of the company’s organisational structure to ensure it is better equipped to respond to commercial challenges, including the impact of the current global financial situation. The company will be removing 90 current senior management positions, maintaining a salary freeze and making a number of role changes for remaining managers. Qantas chief executive officer Alan Joyce said: “It is clear that the aviation sector faces considerable commercial challenges for the foreseeable future. Qantas must respond decisively to what is happening, and our response must begin with those of us who lead the company. “Starting today, we will be making some longer term organisational changes to the management of the Qantas Group to develop a leaner, more fast-moving organisation. “The global financial situation will affect Qantas and other airlines. We will be moving to a structure that reduces the numbers and layers of management in Qantas. “This means a number of managers will be leaving the company. The ongoing management team are being asked to take on new tasks and we are asking every manager to work with his or her team to achieve more operational efficiency in coming months. “The ability to make hard changes earlier than others distinguishes Qantas from its competitors. We confront challenges when they need to be confronted. Doing so has helped the Qantas Group survive and prosper. “These changes will mean fewer overheads and reduce the number of layers between those leading the business and those working with our customers, our aircraft and business partners. “But we are taking great care to retain the ability to deliver world class customer service and ensure safety is not compromised. “Unfortunately, introducing a flatter, leaner structure means making some tough decisions about which managers will go and who will stay. The announcement comes as the airline industry’s global association, the International Air Travel Association (IATA) has updated its predictions for the industry’s financial outlook, with losses predicted of USD4.7 billion in 2009. This is significantly worse than IATA’s December forecast for a USD2.5 billion loss in 2009, reflecting the rapid deterioration of the global economic conditions. Industry revenues are expected to fall by 12.0% (USD62 billion) to USD467 billion. By comparison, the previous revenue decline, after the events of 11 September 2001, saw industry revenues fall by USD23 billion over the period of 2000 to 2002 (approximately 7.0%). “The state of the airline industry today is grim. Demand has deteriorated much more rapidly with the economic slowdown than could have been anticipated even a few months ago. Our loss forecast for 2009 is now USD4.7 billion. Combined with an industry debt of USD170 billion, the pressure on the industry balance sheet is extreme,” said Giovanni Bisignani, IATA’s director general and CEO. Demand is projected to fall sharply with passenger traffic expected to contract by 5.7% over the year. Revenue implications of this fall will be exaggerated by an even sharper fall in premium traffic. 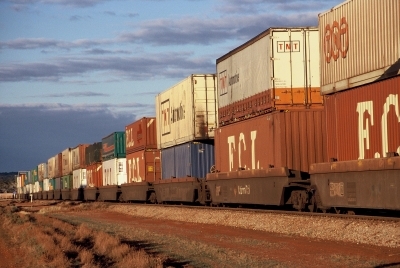 Cargo demand is expected to decline by 13.0%. Both are significantly worse than the December forecast of a 3.0% drop in passenger demand and a 5.0% fall in cargo demand. Yields are expected to drop by 4.3%. Falling fuel prices are helping to curb even larger losses. With an expected fuel price of USD50 per barrel (Brent oil), the industry’s fuel bill is expected to drop to 25% of operating costs (compared to 32% in 2008 when oil averaged USD99 per barrel). Combined with lower demand, total expenditure on fuel will fall to USD116 billion (compared to USD168 billion in 2008). “Fuel is the only good news. But the relief of lower fuel prices is overshadowed by falling demand and plummeting revenues. The industry is in intensive care. Airlines face two immediate fundamental challenges: conserving cash and carefully matching capacity to demand,” said Bisignani. IATA also revised its forecast losses for 2008 from USD5.0 billion to USD8.5 billion. The fourth quarter of 2008 was particularly difficult as carriers reported large hedging-related losses and a very sharp fall in premium travel and cargo traffic. Asia Pacific: Carriers in this region continue to be hardest hit by the current economic turmoil and are expected to post losses of USD1.7 billion (significantly worse than the previous loss forecast of USD1.1 billion). Japan, the region’s largest market is expected to see GDP drop by 5.5% in 2009 with exports already in freefall. China has been successful in stimulating demand in domestic markets with pricing adjustments. International demand to and from China is expected to contract by between 5% and 10% over the year. India, whose market for international air services tripled in size between 2000 and 2008, is expected to see capacity increase by 0.7% in 2009, while demand drops between 2% and 3%. Overall, the region is expected to see a 6.8% fall in demand but only a 4.0% drop in capacity. North America: Carriers in this region are expected to deliver the best performance for 2009 with a combined USD100 million profit. A 7.5% fall in demand is expected to be matched by a 7.5% cut in capacity. Despite the worsening economic conditions, this is relatively unchanged from the earlier forecast of a USD300 million profit. Carriers are benefiting from careful capacity management and lower spot prices for fuel. Europe: Europe’s carriers are expected to lose USD1 billion in 2009. A forecast 2.9% fall in the continent’s GDP is expected to result in a drop in demand of 6.5%. Capacity cuts of 5.3% will not keep pace with the fall in demand, driving yields and profitability down. Latin America: While Latin America is forecast to maintain positive GDP growth in 2009, the collapse in demand for commodity products is expected to see traffic plunge by 7.8%. Carriers are only expected to be able to drop capacity by 3.8% resulting in losses of USD600 million. Africa: African carriers are expected to produce 2009 losses of USD600 million. This is six times the USD100 million lost in 2008. The continent’s carriers are losing market share on long-haul routes. Demand is expected to drop by 7.8% with only a 6.0% fall in capacity. Middle East: Middle East will be the only region with demand growth in 2009 (+1.2%). But this will be overshadowed by the impact of a 3.8% increase in capacity. While this is significantly below the double-digit growth of previous years, the region continues to add capacity ahead of demand. The result is expected to be a loss of USD900 million (a slight deterioration from the USD800 million loss recorded in 2008). Much of the deterioration forecast for 2009 had already happened by January. As manufacturers end their de-stocking there should be a modest bounce in air freight as component shipping rises a little. But weak consumer and business confidence is expected to keep spending and demand for air transport low. “The prospects for airlines are dependant on economic recovery. There is little to indicate an early end to the downturn. It will be a grim 2009. And while prospects may improve towards the end of the year, expecting a significant recovery in 2010 would require more optimism than realism,” said Bisignani. Bisignani also cautioned that this crisis must bring change. “Recovery will not come without change. There is no doubt that this is a resilient industry capable of catalysing economic growth. But we are structurally sick. The historical margin of this hyper-fragmented industry is 0.3%. Bail-outs are not the prescription to return to health. Access to global capital, the ability to merge and consolidate and the freedom to access markets are needed to run this industry as normal profitable business. This is IATA’s Agenda for Freedom – and a very cost effective solution for governments desperate to stimulate their economies,” said Bisignani.